What happens in March? Somewhere in between the cold days, you get a hot day, you bust into the shorts drawer and you bust out of your shorts! Does that sound familiar? The lovely fact of March is that more of us have put on a little holiday weight that we need to jiggle off and the more we jiggle the better those shorts are going to fit. Let’s be realistic though, going to a gym is usually really intimidating because you are working out with those sculpted bodies that put yours to shame, and you don’t feel too comfortable. Let me help you lavishly live life out loud and offer you 3 tips for seeking a general fitness gym, that won’t make you feel intimated. I believe that joining a gym that has typical 9-5 hours just totally sets you up for failure. In fact you need to find one that is open more than typical work hours and if possible 24/7. The workouts you are getting ready to take part in need to work around your schedule and getting there should not be a stressor. When you are headed to a gym, you are just starting into something, and by no means are a body builder that is obsessed with fitness, you are just starting on the path. You are not set up to start into intense workouts, rather, you are looking for introductions into some great general fitness. Getting fit is not just about the cardio or the strength training alone, because amazing results are achieved through a combination of both. Seek out a gym that offers both cardio and strength to get the most you can packed into one workout. 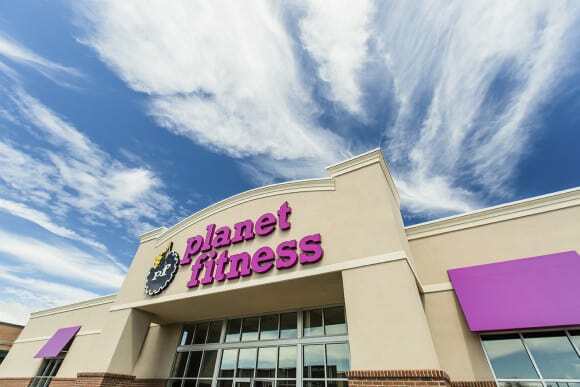 Great hours, general fitness and a combination of cardio and strength training can be found at Planet Fitness. Planet Fitness, one of the largest and fastest-growing franchisors and operators of fitness centers in the United States. Planet Fitness is doing something totally awesome they are going to have a special one-day spring membership sale on April 4 – new members can join any Planet Fitness location for just $1 down and then $10 a month with no commitment! Planet Fitness fosters a Judgement Free Zone® – a non-intimidating, hassle-free, welcoming environment that makes everyone feel comfortable. There aren’t any high pressure sales people. (Cheering is ok right about now! )Planet Fitness is perfect for those who are seeking general fitness, that want a gym for occasional use. Many of the Planet Fitness clubs are open and staffed 24/7 making it super convenient to fit into your schedule and all clubs offer spacious lockers rooms with friendly staff members. Personally, finding out that there are more than 1,000 locations (Find Yours Here), and that the PF Black Card® membership, at $19.99 a month, includes additional amenities such as the ability to bring a guest every day at no additional charge, access to all 1,000+ Planet Fitness locations, use of massage chairs and beds, and more. Can you imagine being able to bring a guest, that is just more motivation to head to the gym! 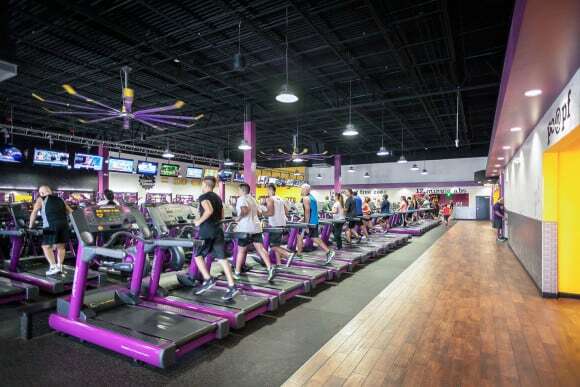 Planet Fitness has two circuits which help members get a full workout in 12 or 30 minutes. The circuits combine strength and cardio, and operate on a red light / green light system. Additionally, there are great opportunities to connect with other members and share your success stories, accomplishments and inspirational stories, via “Planet of Triumphs.” This makes everyone feel like they belong at this gym! They’ve made a unique link just for my followers so click here to enter your email for a reminder to join April 4! Great hours, general fitness and a combination of cardio and strength training are all important factors and my personal tips that I sought out when looking for a great gym that meets all my needs. Daily inspiration, writing down what I eat, and drinking plenty of water are additional little incentives to get on track and get your life moving in the direction of working out! Lavishly live life out loud now that you know my 3 Tips For Seeking A General Fitness Gym! Let me check and try this.. I was a Planet Fitness member for a couple of years and only stopped going because I was predominantly using the treadmill and eliptical machines and started spending a whole lot of time outside instead. I loved their set up there, but most of all, I loved their hours and the fact that they gave me a calendar with the times the least amount of people were expected to be there. So helpful for an introvert like me! I like your tips! I seem to struggle when I know my gym is a bit far away (like now…) Because it takes more than 10 minutes to get there, and with my very limited schedule, it can turn me off sometimes. I used to love to go to the gym. It is so much better now than when I went too, I bet I’d love it even more if I returned. 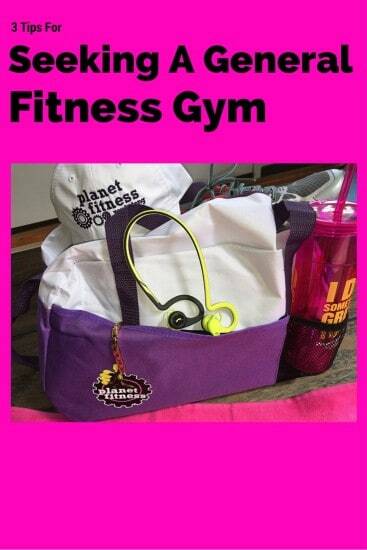 I have a planet fitness near me, will definitely be checking it out! Sounds like a great gym! Claudia Krusch recently posted..Spaghetti Pizza, As Easy As Pie! the main thing I look for is if I will enjoy and be comfortable in the place that I will work out on. I need to make sure that I’m at ease esp since I will be generally uncomfortable with all the exercises that I will be doing. Kathy Kenny Ngo recently posted..Book Lovers, UNITE! That is how I am because comfort makes life easy ! That’s brilliant! It’s nice to find a gym that offers good deals. I don’t normally workout and would rather just jog everyday but if I stumble upon a gym that would fit my needs, I would totally go for it. I haven’t stepped foot in a gym in over 10 years. Yikes! I’m looking for one that has really good hours and that is not too far from my home. I am not a fan of the Gym and any Gym I join must have Basketball courts because that is my preferred mode of workout. That covers my Cardio and Strength training. Awesome tips for finding a gym. I also add cleanliness because some of these gyms smell something awful. That’s a really great deal. I have only been to PF once, it was a really nice gym. thanks so much for your feedback. Fitness is important and checking out three tips for seeking a general fitness gym is a great way to start figuring out what to look for! I like a gym that offers aerobics or zumba.. It’s my favorite form of exercise.